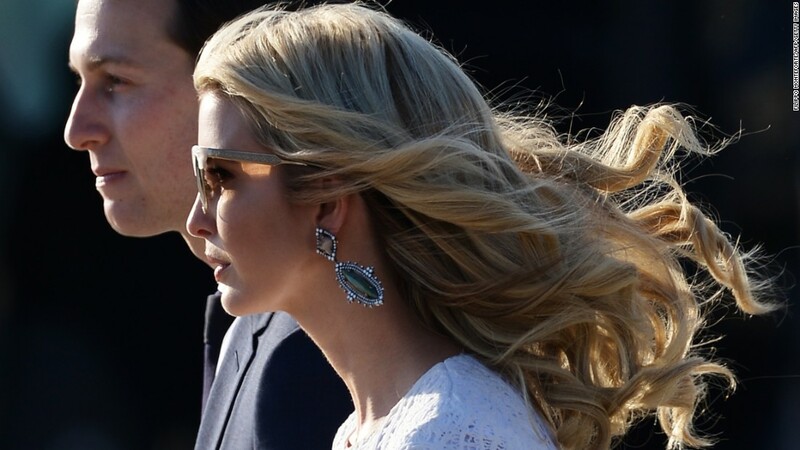 Two of President Donald Trump’s closest aides, daughter Ivanka and son-in-law Jared Kushner, are keeping their heads down. It’s been just a few days since news surfaced that the FBI is looking into the role Kushner held during the campaign and transition, including his contacts with Russian officials, his role in the campaign’s data analytics operation, and his relationship with former national security adviser Michael Flynn. Kushner discussed creating a backchannel between the Trump campaign and the Kremlin to discuss military operations in Syria and other matters in a meeting last December with Russian ambassador to Washington Sergey Kislyak, sources with knowledge of the situation told CNN. There is no indication Kushner is currently a target of the FBI’s probe and there are no allegations he committed any wrongdoing. Now, the White House power couple — she a special assistant to the President, he a senior adviser and head of the newly-formed Office of American Innovation — is laying low. They are both “focused on their work,” an administration official told CNN Monday. The official said the two share a “healthy understanding that there’s attention on you when you’re at this level,” adding that they are “unfazed” by the scrutiny of the past week. They have built a thick skin over the past few months in the White House and they recognize that a certain level of attention comes with the high-profile opportunities they have been given, per the official. And they’re used to attention on a smaller scale — they were public figures in the New York real estate scene long before President Donald Trump began his campaign. The couple spent the weekend at Trump’s Bedminister Golf Club, where they married in 2009, for a planned trip with their three small children. Back in Washington on Sunday afternoon, Ivanka Trump was spotted outside the White House, chatting with lawyer Marc Kasowitz before boarding an SUV together. The New York-based Kasowitz has long been the President’s lawyer and is helping represent him on matters related to the inquiry into his campaign’s alleged ties to Russia.